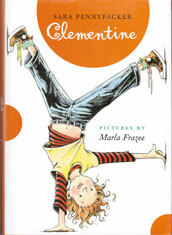 In this first book of the series, Clementine tries to help out her friend Margaret, but ends up in a lot of trouble for it. 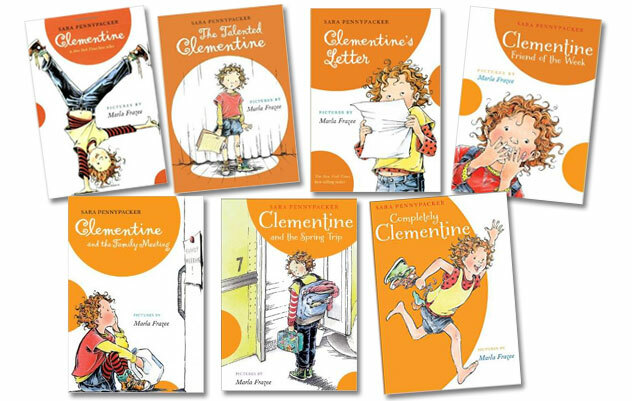 Things get worse each day of the week, until finally she's worried that Margaret is right: Clementine's parents might consider her "the hard one" in the family. They're up to something mysterious...are they thinking they'd be better off if they only had her little vegetable-named brother..."the easy one"? 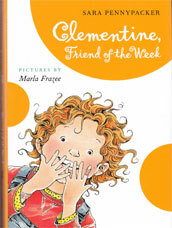 Margaret makes Clementine worry that her classmates won't find enough good things to write about her in her "Friend of the Week" booklet. 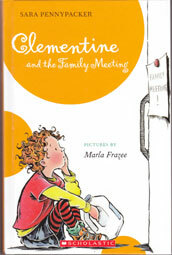 Clementine devises a campaign to win the kids over, which backfires. 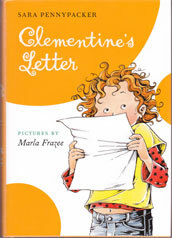 Meanwhile, her beloved kitten, Moisturizer, vanishes, and Clementine must face the possibility he is lost forever. Clementine's having a nervous breakdown. The FAMILY MEETING! sign is up in her house, and she just knows she's in trouble for something. As far as Clementine is concerned, the agenda should be something like: "We're getting a gorilla." But no, it's something entirely different. 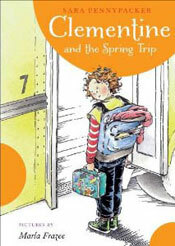 For Clementine, spring is a really big deal. It's the time for seeing her apple tree start to grow, for watching her friend Margaret go crazy with spring cleaning, and for going on the school trip to Plimoth Plantation. Clementine is ready for Ye Olden Times, but she isn't so sure about surviving lunch there... the fourth graders have strict rules about no eating sounds. If that wasn't enough, Clementine also faces the challenges of learning Olive-language and surviving The Cloud on Bus 7. Summer is coming, and Clementine is not ready. She is not ready to start speaking to her father again, because she's still mad at him for eating meat. Instead, she has to express her sadness by giving him drawings of animals she knows would not want to be somebody's dinner. Then there is the new baby on the way. Clementine's mom sure doesn't seem ready. She's suddenly crazy about cleaning (Dad says she is nesting), but she doesn't even have a name picked out yet. Clementine just hopes the baby won't be a dud. 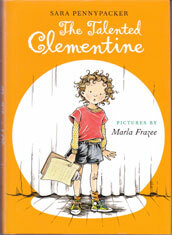 What Clementine really isn't ready for is saying good-bye to her third grade teacher. She knows Mr. D'Matz is going to tell her all kinds of things that aren't true. 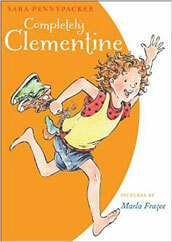 Everything else may be changing around her, but that doesn't mean that Clementine has. But which is worse, saying good-bye, or not saying good-bye?